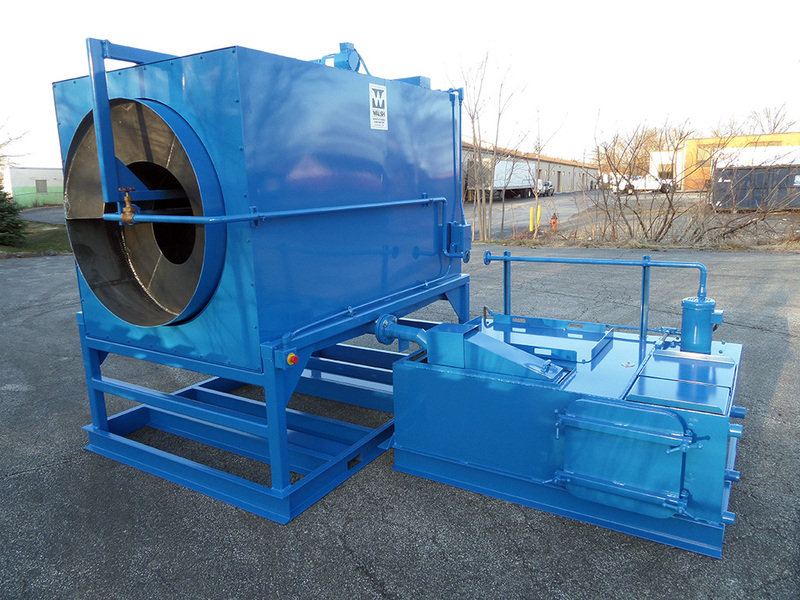 Rotary Drum style washers are one of the most common utilized systems for cleaning of non-critical parts. Rotary drum style are available as single stage or multiple stage including drying. The drum is designed to process parts on a volumetric basis. Drums can be continuous flow or “Batch” style. In the continuous design, there are various stages of solid and perforated zones. Each stage consists of both the solid (soak) and perforated (rinse/drain) areas. Combination units consist of multiples of these zones. 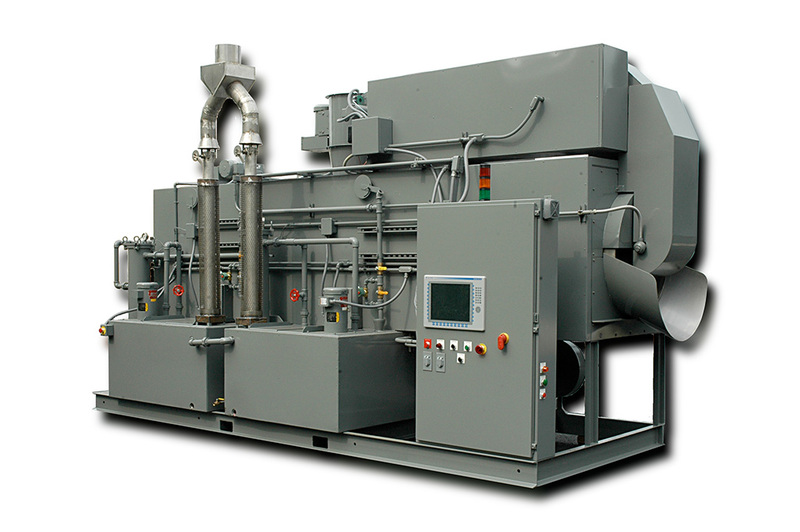 The rotary washer design enables separation of the various zones and minimizes cross contamination of solutions. In a “Batch” rotary, the parts are held in the process portion of the drum for each of the functions. The drum is rotated in a reverse mode with the parts and solutions. The solutions are returned to their proper reservoir and the drum is filled with the next stage of cleaning. 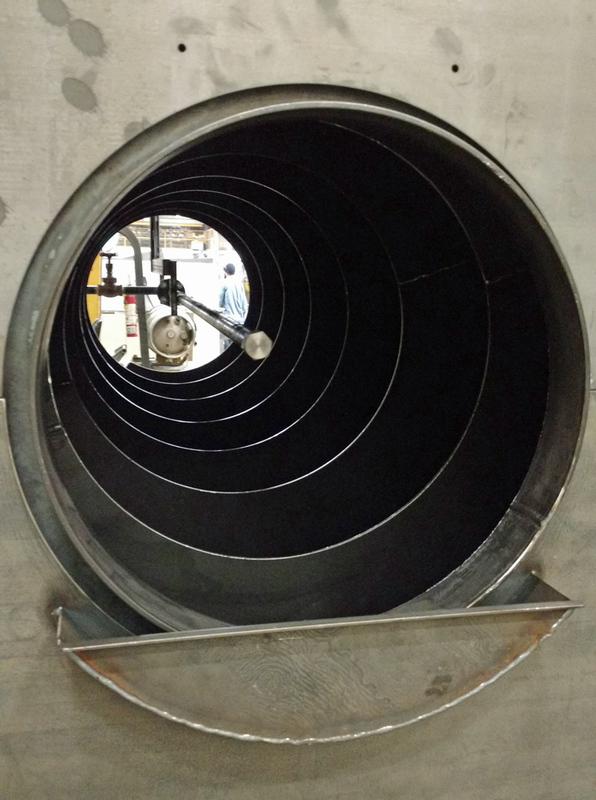 Once the parts have gone through the complete cycle, which may also include drying, the drum is reversed and the parts are discharged through a helix portion of the drum. The “Batch” style may also add a slight “Deburring” function to the parts due to the part on part action. 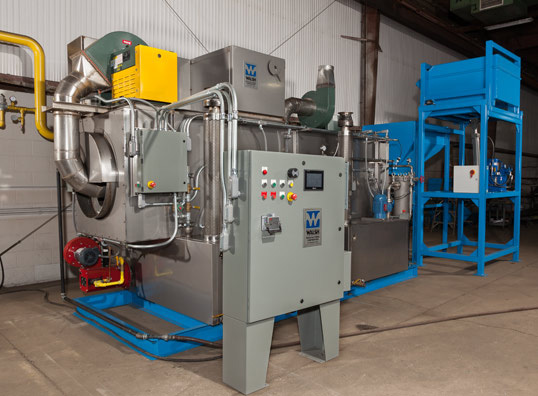 All of our parts washers may be equipped with standard components which simplify operation and maintenance. Examples are our oversized Marine Style tank clean out doors in the reservoirs and bolt on end panels for easy removal of the drum if required for cleaning or maintenance. Quick disconnect headers and spray nozzles with clip on holders are part of each washer. Our philosophy is to make cleaning parts a part of your operation. By understanding the needs of your maintenance department, production department and your controls requirements, we assure that our equipment will be readily accepted even before it goes into production. Our management and our engineering will work with you through every step of the project. We realize that only you know your product, which is the most important part of every washer we build. We have over 50 years in the design and manufacture of parts cleaning systems. We utilize the experience we have gained in those years to provide you with a product that is tuned to your needs. You do not have to settle for an off the shelf unit which you have to adapt to your parts. Our “Custom” design is yours without the custom cost. Let us hear from you today. We offer consultation on a no cost basis.